After a campaign that many described as particularly ugly and bitter, Sadiq Khan of the United Kingdom’s Labor Party has been elected and sworn in as London’s first Muslim mayor. He won by a 13.6 percent margin, the largest margin of victory for a London mayoral candidate in 16 years. It is not just a historic day for London. Khan has become the first Muslim mayor of a major Western city. 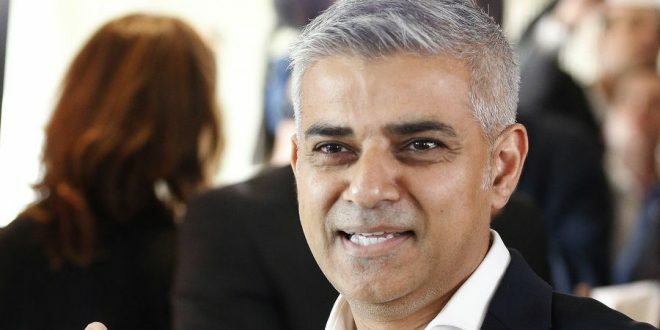 “I’m determined to lead the most transparent, engaged and accessible administration London has ever seen, and to represent every single community and every single part of our city as a mayor for Londoners,” Khan said in a victory speech in Southwark Cathedral. Khan is the son of Pakistani-born immigrants. He became a civil rights lawyer and later London’s first Muslim member of Parliament. His religion was not the only thing that set him apart from his Conservative opponent, Zac Goldsmith. Khan is the son of a bus driver and grew up in public housing. By contrast, Goldsmith is the son of a billionaire financier. Goldsmith’s campaign was marked by frequent rhetoric accusing Khan of being a sympathizer of Islamic extremists, a tactic that was criticized even by members of his own Conservative party. “This election was not without controversy and I am so proud that London has today chosen hope over fear and unity over division,” Khan said after the results were announced.